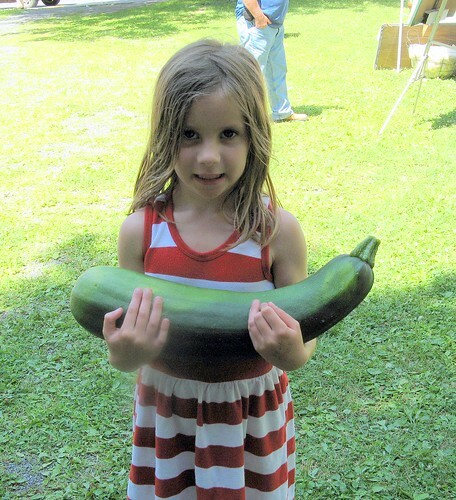 If your zucchini look like this, you've waited too long to harvest! I've been told you can cook these up real good. I have no doubt that's true, but I'll stick with the little ones, myself.